California Stage presents John O’Keefe’s new play, “Times Like These,” October 19th through November 18th. 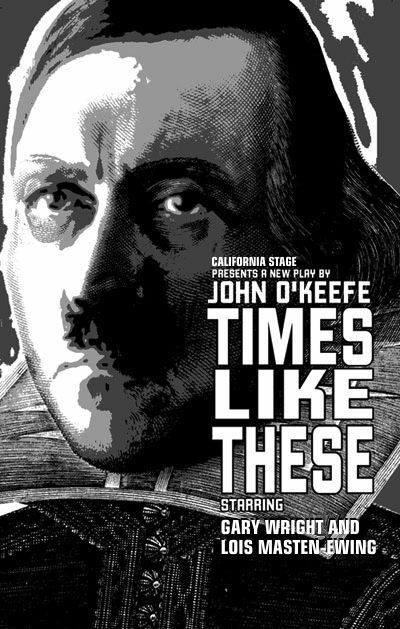 California Stage will present playwright John O’Keefe’s new play, Times Like These, at the California Stage in the R25 Arts Complex, 25th & R St. The play takes place in Hitler’s Berlin between 1934 and 1938. It is a play about Meta Wolff, Germany’s most famous actress, who is banned from the stage because she is a Jew. She attacks the only way she can: through her actor-husband, Oskar Weiss, whom she directs behind the scenes in a production of “Hamlet” to boldly satirize the Nazi regime. It stars Gary Wright (AEA) and Lois Masten-Ewing, and is directed by Richard Winters.